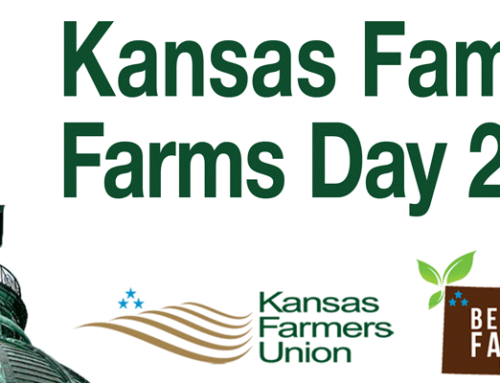 The Kansas Beginning Farmers Coalition (KBFC) invites beginning farmers and ranchers of all ages to its third annual meeting, Saturday, December 6, 2014 at Four Points by Sheraton Hotel in Manhattan, KS. 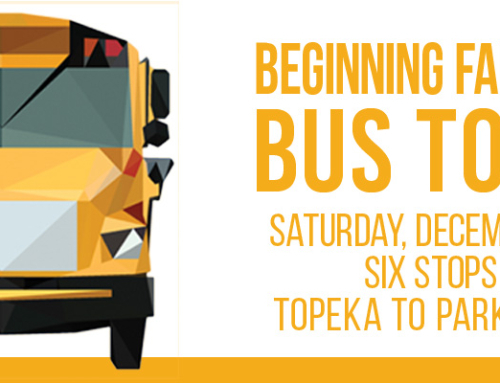 The event is being held in conjunction with Kansas Farmers Union’s annual convention which takes place December 4-5. Cody Holmes of Rockin’ H Ranch and Real Farm Foods near Norwood, MO will serve as keynote speaker, presenting four different sessions geared toward beginning farmers and ranchers. Holmes, his wife Dawnell, and their daughter Taylor raise seasonal produce and free-range chicken, pork, beef, lamb, turkey, eggs, cheese and milk without the use of antibiotics and chemicals. Holmes is also a proficient author of many articles published by magazines like Acres USA, Stockman Grassfarmer, and In Practice, the publication of Holistic Management International. He shares his thoughts through his www.holisticsystemsforstockmen.net blog, Cody’s Corner group on Facebook, and has completed his much anticipated book, Ranching Full-Time on Three Hours a Day. Over the years, Rockin’ H has added numerous specialty crops and livestock to the operation starting with the highly profitable and sustainable Katahdin sheep, foraging pigs, Jersey milk cows, and bug-chasing chickens and turkeys. A few years later, browsing dairy goats were added, bringing raw goat milk and artisan cheeses to the mix, and then brought along a whopping herd of 1,200 Spanish meat goats to the farm. In 2009, Rockin’ H began Farm to Home Delivery through a few drop-offs after the farmers market season ended in the winter. Today, 100 customers in a 200-mile radius area buy meat, cheese, milk and produce weekly. Rockin’ H Ranch also offers internships and apprenticeships throughout the summer months each year. Internships offer young men and women the opportunity to live and work alongside the Holmes’ while gaining ranching and gardening experience. Apprentices have the opportunity to learn every aspect of farm management for every enterprise on the ranch with Holistic Systems style of management. Speakers include USDA Rural Development state director Patty Clark; Kansas Forest Service’s Larry Biles; Jeff Downing with Midwest Regional Agency; and Kerri Ebert with Kansas Sustainable Agriculture Research & Education (SARE) and Kansas Center for Sustainable Agriculture & Alternative Crops (KCSAAC). An additional highlight includes a mid-day tour of GreenFin Gardens; a pioneering aquaponic hatchery & farm in its fourth season in Pottawatomie County, specializing in pure blue tilapia, figs, and bananas. For the past several years, GreenFin has been strictly a wholesaler, supplying some of the leading retailers in the industry with blue tilapia fry and fingerlings. This year they have expanded into retailing, offering end customers the chance to save money by cutting out all the middlemen and buying direct from a primary producer. Along the way, they’ve developed some interesting experimental gardening systems, including a semi-pit tunnel greenhouse, aquaponics tunnel, and tilapia garden pond. KBFC members, guests, and the general public are invited to attend the meeting. Registration for the day for beginning farmers is $10 thanks to a generous donation from Midwest Regional Insurance Agency. Registration for all others is $20 per person. Registration covers lunch and the farm tour. For those who would like to come to Manhattan the night before, or for those who would like to attend KFU’s convention December 4-5, hotel rooms are available for $75.00 a night. Please make reservations with the hotel at (785) 539-5311 by Wednesday, November 26, and ask for the Kansas Farmers Union block of rooms. Register online by Dec. 1 HERE.